Home Adventure Why Did the Farmer Cross the Road? Remember the old joke that began with “Why did the chicken cross the road?” Well, this new picture book revisits the joke from another angle of the farmer who owned the chicken. 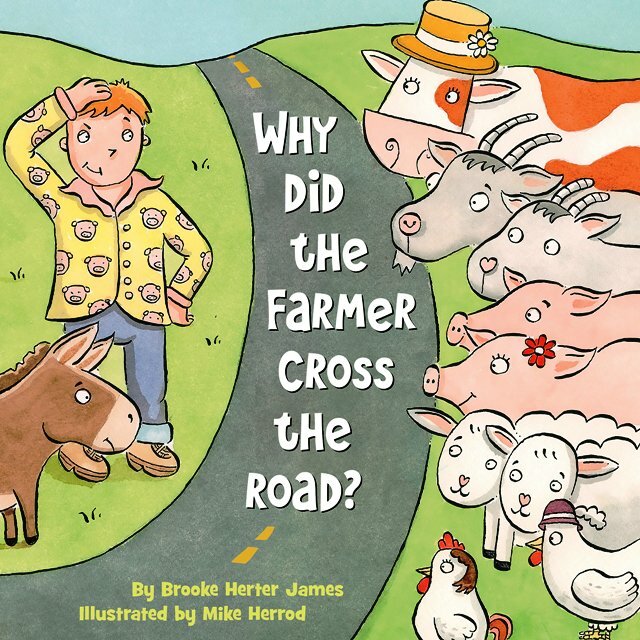 Why Did the Farmer Cross the Road, by author Brooke Herter, is a delightful little book that explains where the chickens (and other barnyard animals) went, and why farmer had to go after them. The book opens with farmer’s faithful donkey–whose name happens to be Donkey, knocking on his door to tell him there’s a situation brewing. It’s early and Farmer just wants to sleep, but Donkey makes him understand that his pigs are halfway down Sherman Avenue headed toward town. Of course farmer doesn’t believe him, but Donkey insists that not only are the pigs gone, but the cow is following the sheep to town. Even the goats have decided to leave, though they’re driving farmer’s truck instead of walking. When Farmer realizes that the county fair is in town, complete with rides and a pie-eating contest, he finally believes his faithful donkey. Now sleepy Farmer has to make a decision: he either turns over and goes back to sleep or goes to the fair to retrieve his farm animals. This clever little book is like a mystery and a knock-knock joke rolled into one. It’s full of sheep wandering around in circles, chickens who prefer not to cross the road to get to the other side, and goats that know how to drive. The prose is written in real-time. 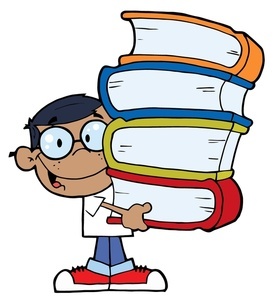 There is no “he said” or “she asked” anywhere in the manuscript. There is only dialogue, dialogue, dialogue. This format may render the book a little more complex for young readers, thereby requiring a bit more focus than the typical picture book. 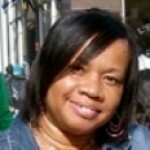 However, this may serve as an unofficial primer to move young readers into more independent reading. Artist Mike Herrod’s illustrations are perfect for young children. The animals are round-faced and wide-eyed, and wear pretty hats and even flowers on their heads. The serene farm is decorated with soft pastels, and Farmer looks hardly older than a teenager. But the best concept of all is that when Farmer goes to retrieve his animals, he does not exhibit one ounce of anger or vexation. He just seems like a caring adult who is returning his “children” to where they belong. Use this book for belly laughs about nursery rhymes or favorite riddles. It should also do well for independent supplemental reading.